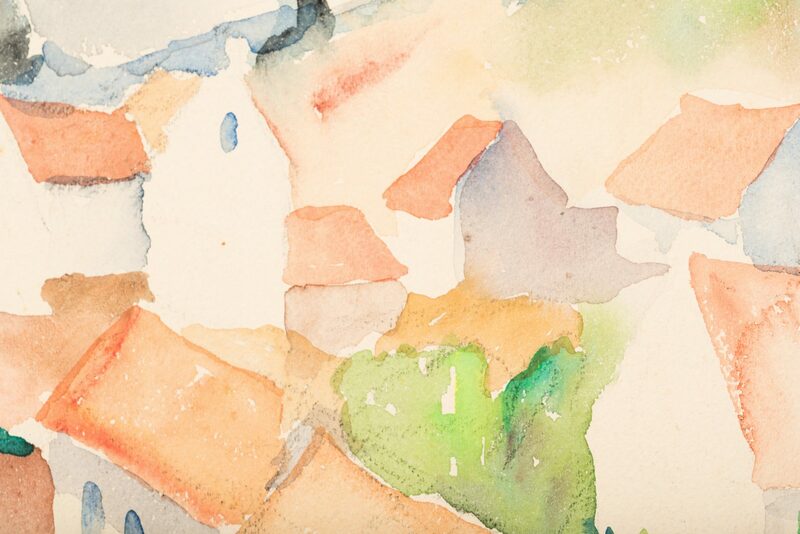 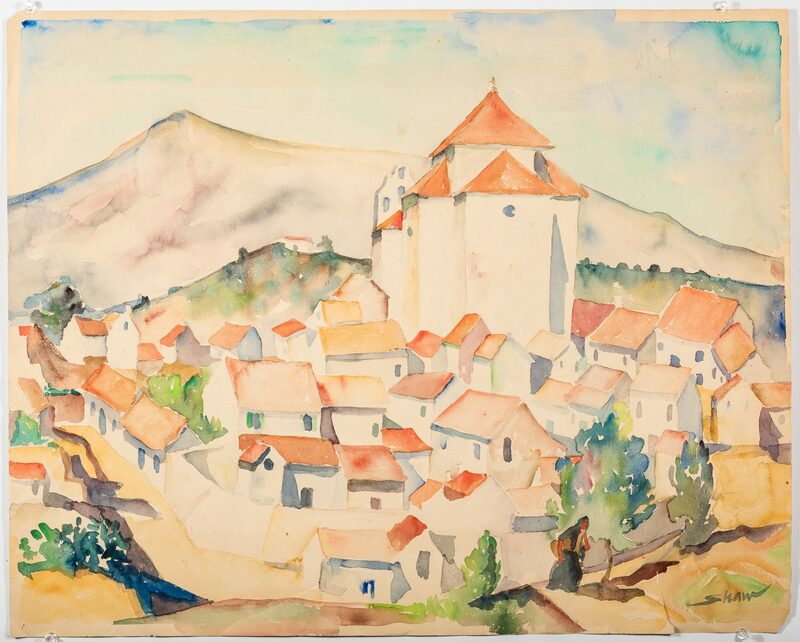 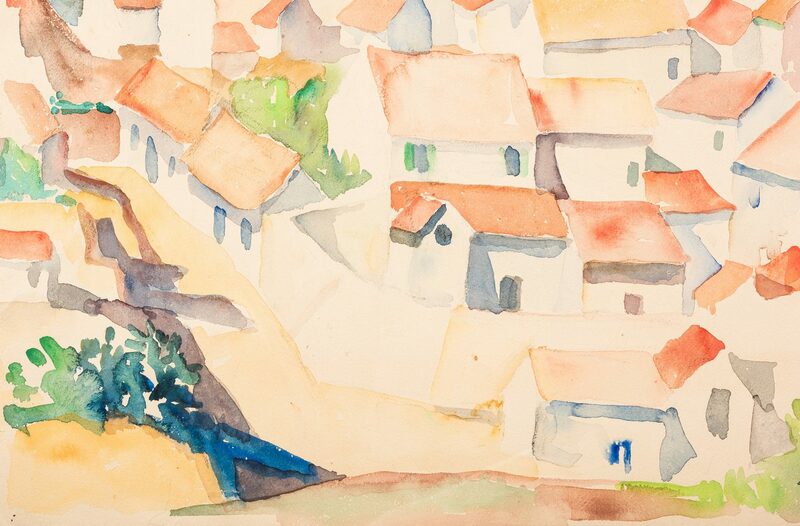 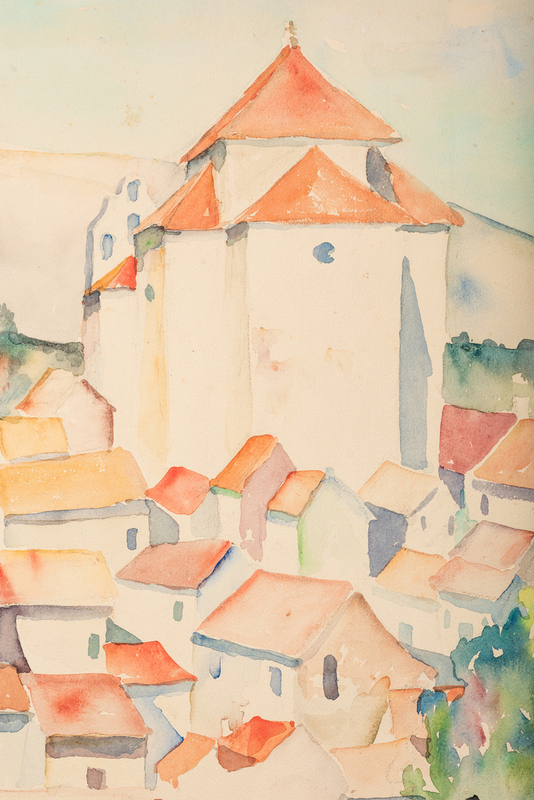 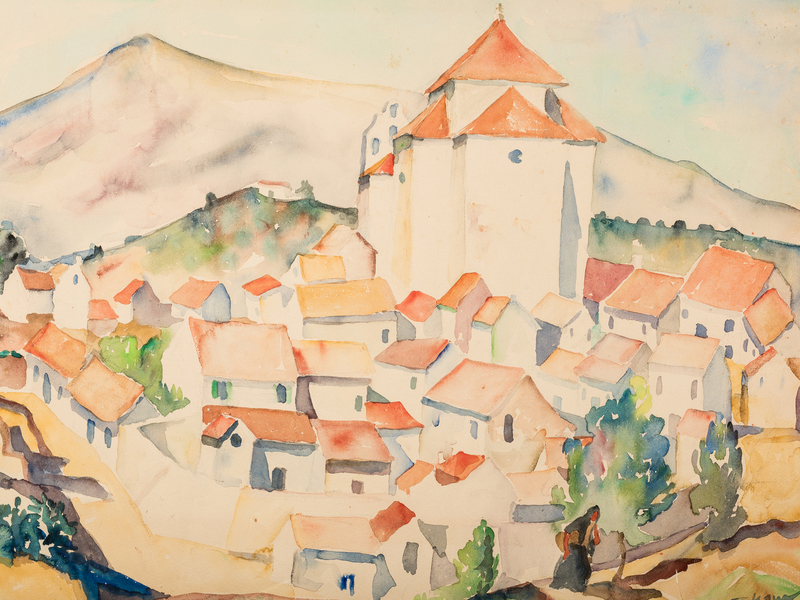 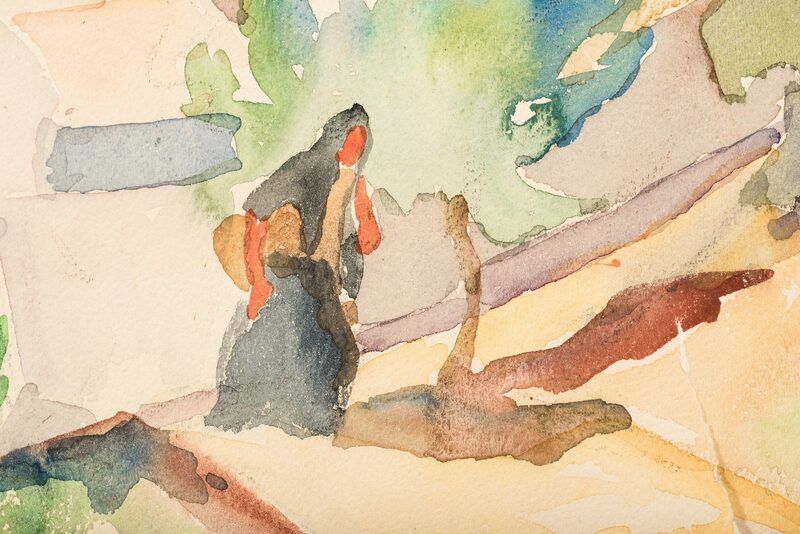 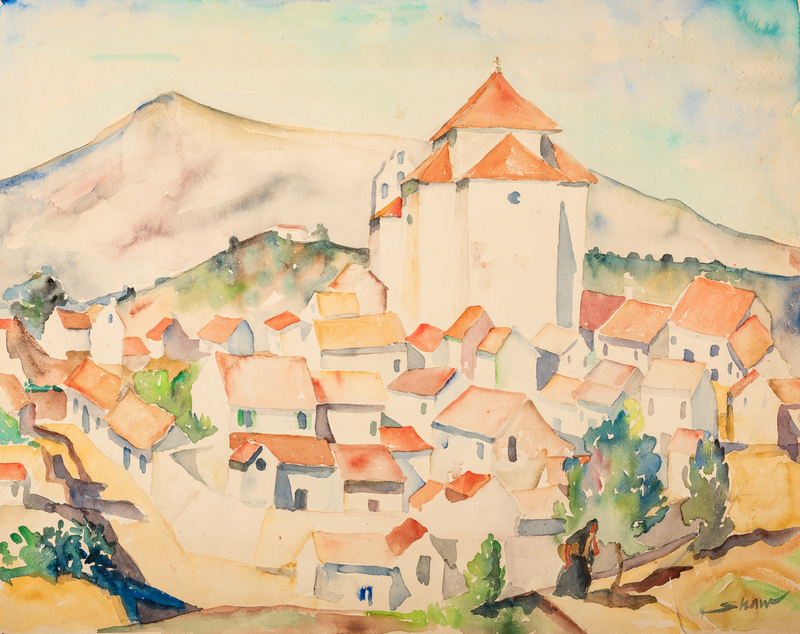 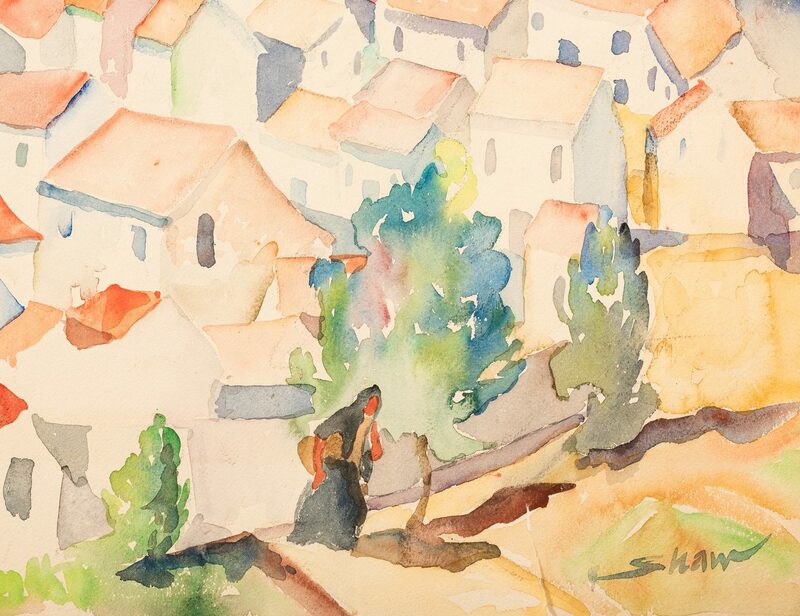 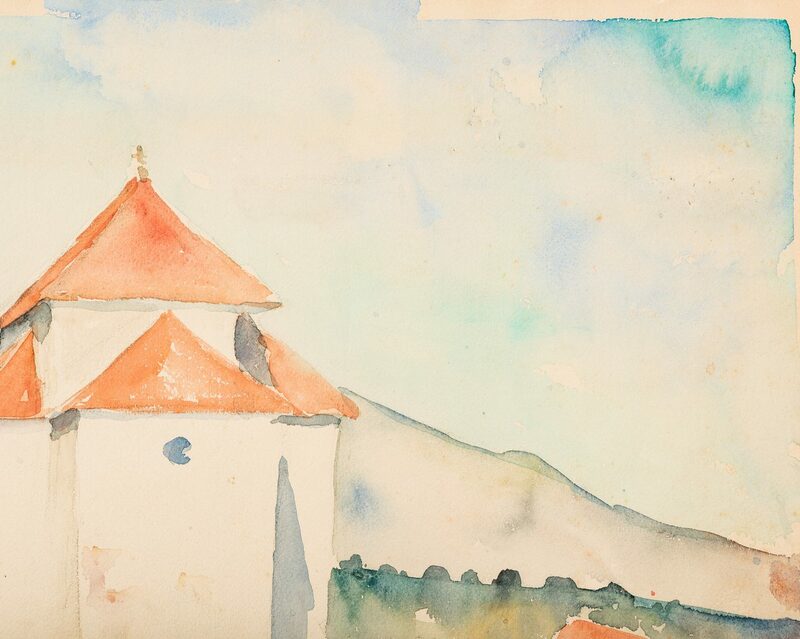 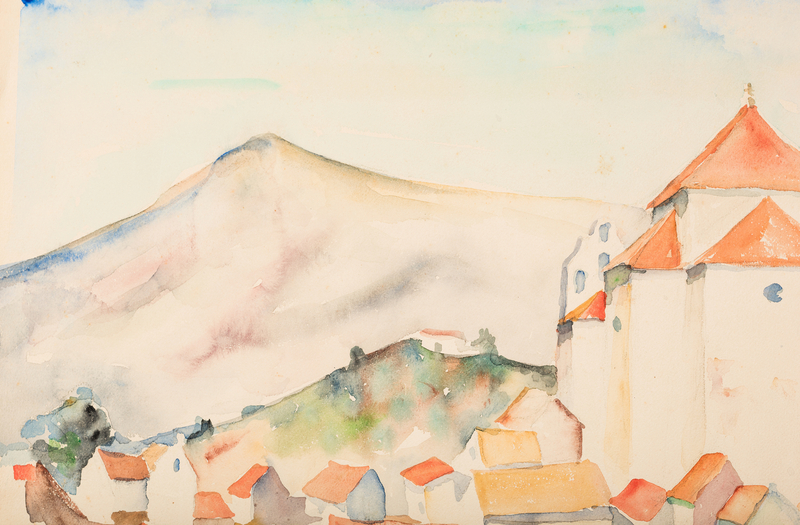 Harry Hutchinson Shaw (Florida/Louisiana/Ohio/Mexico, 1897-1989) watercolor on paper depicting a Spanish village with a lone female figure lower right front, signed lower right "Shaw", unframed. 20" H x 25" W. CONDITION: Unframed, overall toning to paper, some tears/losses to margin, mostly lower right corner, tear approx. 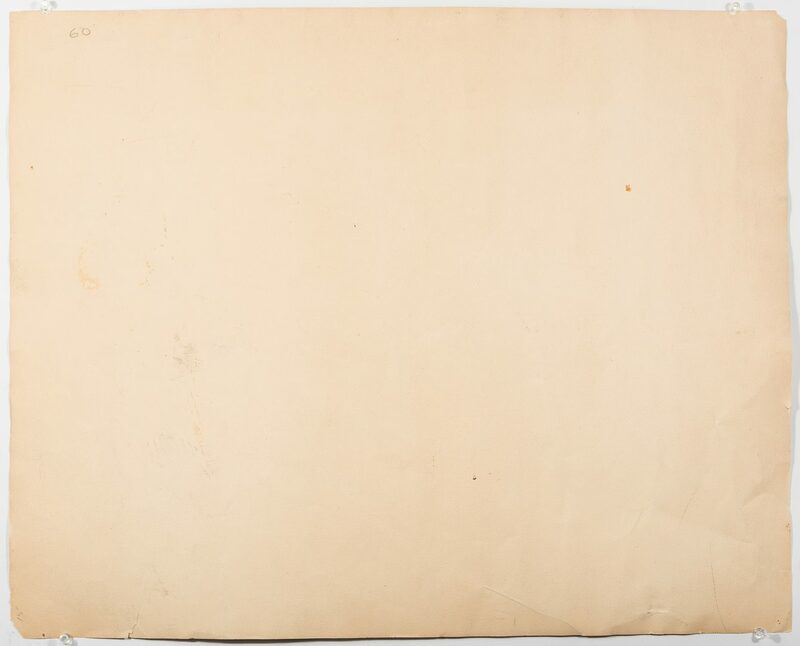 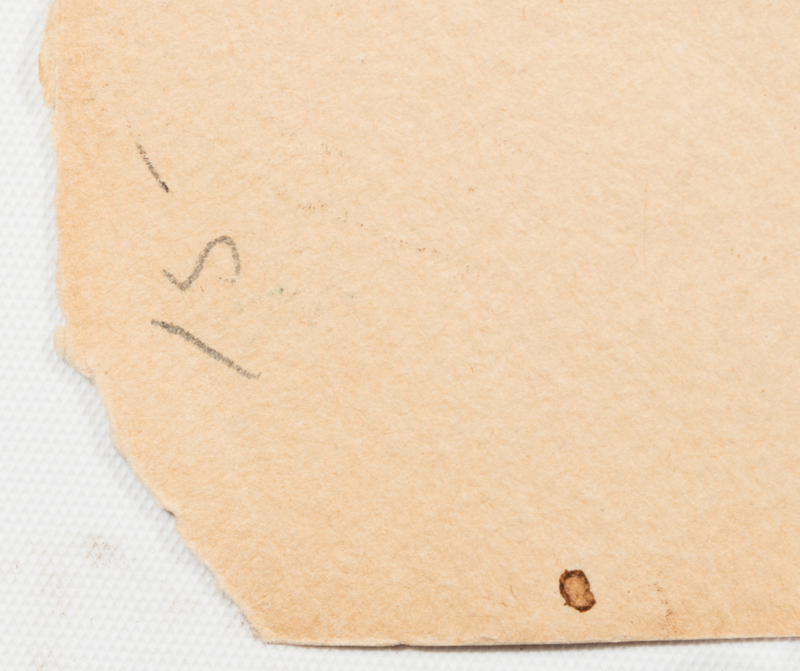 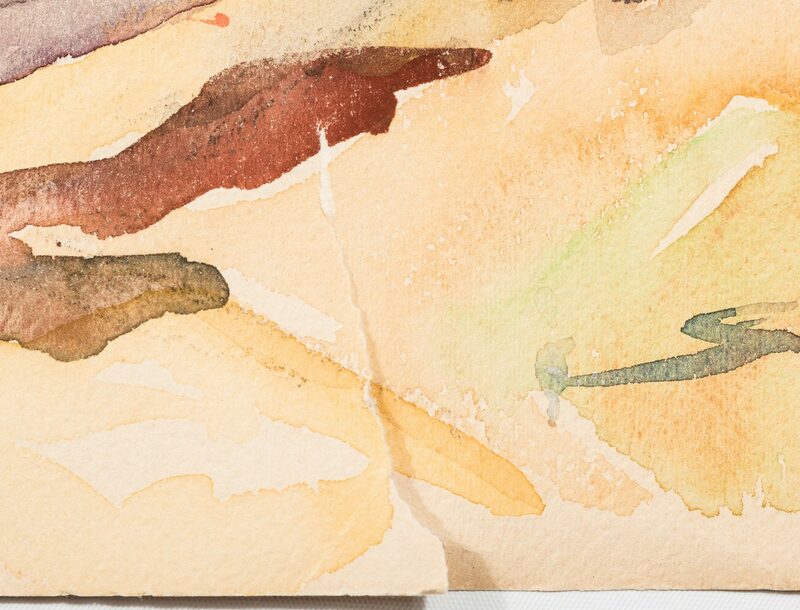 2" L. Loss to upper left corner.